Xiaotian Fu joined the WRI China office in May 2012 as a Research Associate to Water Program. She provides analytical support to identify options to reduce water pollution and increase water availability in China. Before join WRI, she worked for Deloitte & Touche LLP and other research agencies, conducting research in the field of environment (water and solid waste), energy and transportation. Xiaotian has a master’s degree in Economics from Dalhousie University, NS, Canada. She also has a double bachelor’s degree in Materials Science and Engineering, and International Trade and Economics from Beijing University of Technology, Beijing, China. 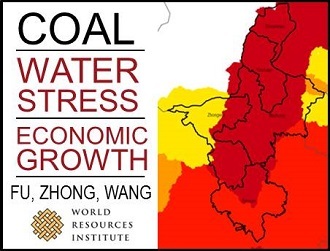 Does Coal Always Mean Water Stress Along With Economic Growth?